Founded in 1981 and based in Northampton, Turbo Technics is now one of the myriad companies making up "Motorsports Valley", the multi-billion pound UK motorsports industry. Today, this British success story employs a team of 30 people, based in a purpose-built Northampton factory. The man behind Turbo Technics is founder Geoff Kershaw, an engineer who has been involved with turbochargers since 1963. He built a Ford 8 special while still at university, then produced a 1340cc Ford Anglia with a Garrett T3 turbocharger which was probably the first use of a turbo in UK competition. He was also involved with the SAAB 900 prototypes & Volvo turbo's as he was a key figure at Garrett at the time of their development. Still to this day major car manufactures will give him a call for his thoughts on projects such is his experience with turbocharging. Since those early days, the world of turbos has changed: today`s big market is the diesel passenger car, but motorsport remains an important area for both sales and technical development. Only last month, a turbo diesel beat a field of petrol-engined cars to win the world`s most famous race, the Le Mans 24 Hours. Turbo Technics is one of two Garrett main agents in the UK, and as such can supply standard turbos, as well as service exchange units for all popular cars and light commercials. Exchange turbochargers are remanufactured using both Garrett and TT-made parts. For motorsport, a complete range of hybrids and specials is available for all popular race, rally and street-modified cars. The latest hybrid units are effectively Turbo Technics turbochargers. They mimic the original equipment manufacturers in terms of bolt-up flanges and pipe fittings, although every single component is actually manufactured by or for TT. The latest hybrid is an EVO unit, which bolts onto the standard Mitsubishi exhaust manifold, is made totally `in house` and offers 500 bhp (with appropriate engine modifications). Some 500 new and remanufactured turbos are always kept in stock, available for next day delivery anywhere in Europe. An even bigger stock of parts is available so that turbos which are not `on the shelf` can be built in a few hours and dispatched to customers within two days. Turbo Technics cashed in on the popularity of the aftermarket turbo conversion throughout the 1980s, as the years passed, it's conversions became increasingly wild. A couple of examples are below. Like Janspeed, the Lincolnshire based tuning firm produced the Metro TT as a tuning kit for anyone who had already bought a car but seeked a little bit more. The Turbo Technics route was a little more simple than the Janspeed version, relying on a Garratt AiResearch T3 (or Rotomaster) charger fitted onto a converted inlet manifold, but the price of £825 was justified by the addition of electronic ignition. The results were a little less impressive than the Janspeed version, as the figures obtained by What Car? magazine indicate (0-60mph in 9.7secs, 105mph maximum speed). So efficient is the Capri's standard package that few modifications are required to complement the turbo car's major increase in performance. Harder suspension bushes further improve the already excellent handling, while uprated pads are fitted to the standard braking system. For those who want to further uprate the front brakes, however, there is the option of heavy-duty, ventilated discs and AP 4-pot calipers. The 0 - 60 mph dash is covered in a shattering 6.5 seconds, while 0 - 100 mph mark is attained in a disdainful 14.8 seconds. As standard the Capri has an enviable top speed of 130 mph. The turbo, though, leaves it far behind, with a mean maximum of no less than 143 mph. Turbo Technics supplied kits for over 50 different cars, everyone worked out & designed by Geoff. 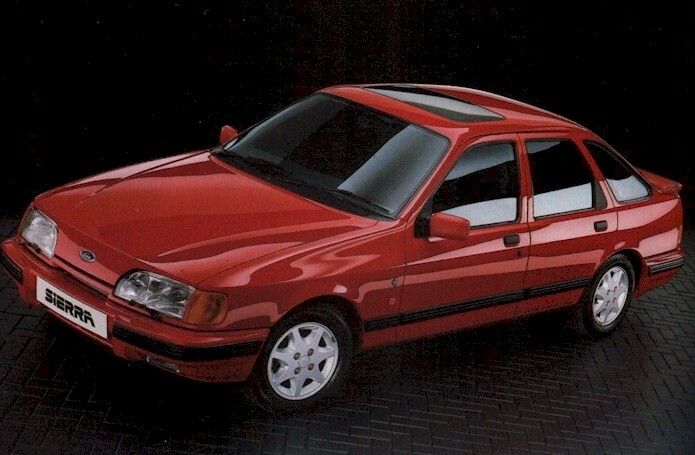 To start with the company was very succesful but due to a changing market place & the bad resession of the 90's the car conversion side struggled around 1996/7, so that side of the company was shut down. TT could then focus on turbocharger supply & rebuilding. The VSR (Vibration Sorting Rig) balancer side of the company also became successful & to this day this is still TT's main work with the odd project! The rotating parts of a turbo can spin at up to 250,000 rpm, at which speed flexural vibration becomes a major issue. Turbo Technics realised this over 25 years ago and designed its first VSR balancing machine. It's true to say certainly in the U.K but also maybe the world that if you don't own a TT built or supplied turbo then it was probably balanced on one of their machines at least once in it's life. We was very lucky here at Ford Power to have had Geoff as a guest on our stand at Ford Fair. There is nobody in the U.K who has had as much experience with turbo charging engines as Geoff. Indeed he once told me that one of the main reasons Turbo Technics was formed over 30 years ago now was he was fed up of tuning companys asking his advice then producing a product that was nothing like what he surgested that gave turbo's a bad name because they was crap results! He wanted to produce turbo cars that people where impressed with not a disapointment!